For parents that created an account without an invitation, you can add your students by asking your school for your student's 10-digit code. Make sure you have a printed invitation, or your 10-digit code that you received from your school. 4. Type in your preferred email address, and create a password. 5. 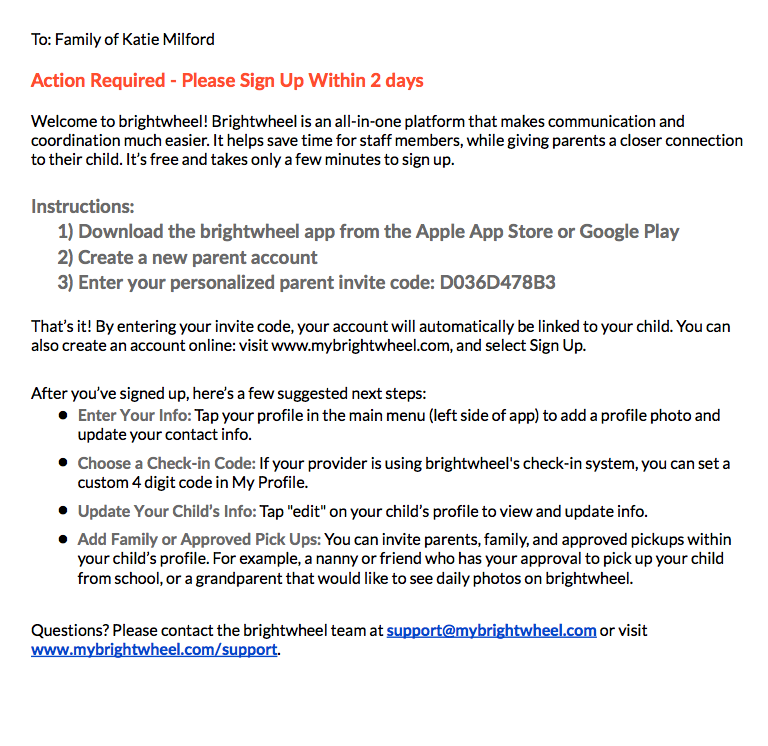 To add your child, tap the "+" symbol in the top right corner, and enter your 10-digit code to be connected to your child's profile.